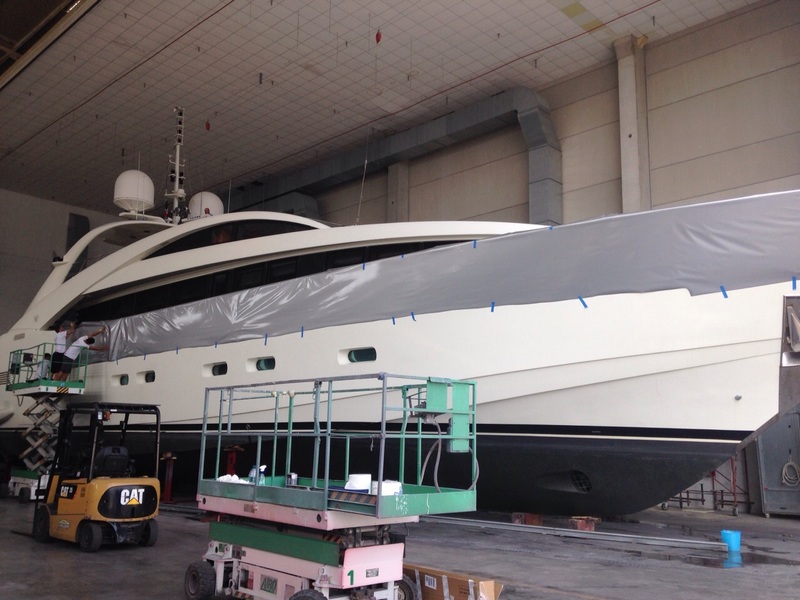 Hull, Superstructure & Deck Furniture vinyl finish. 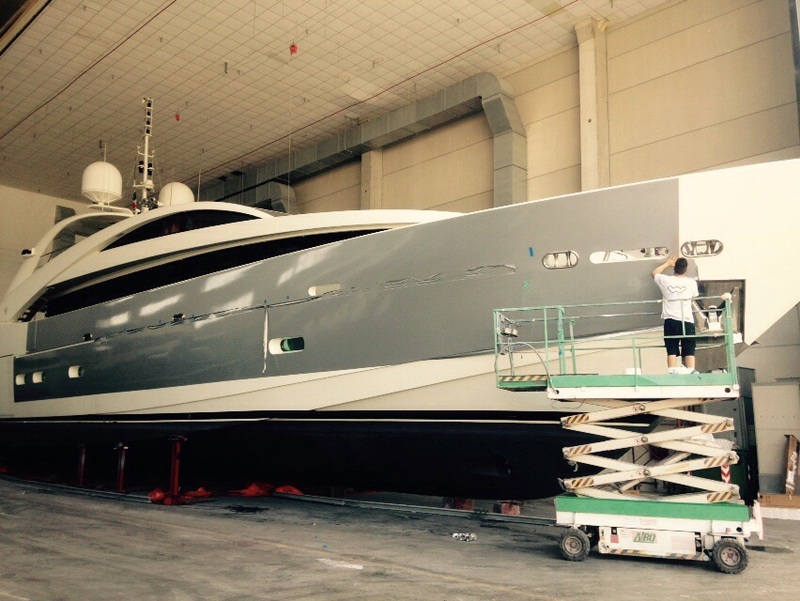 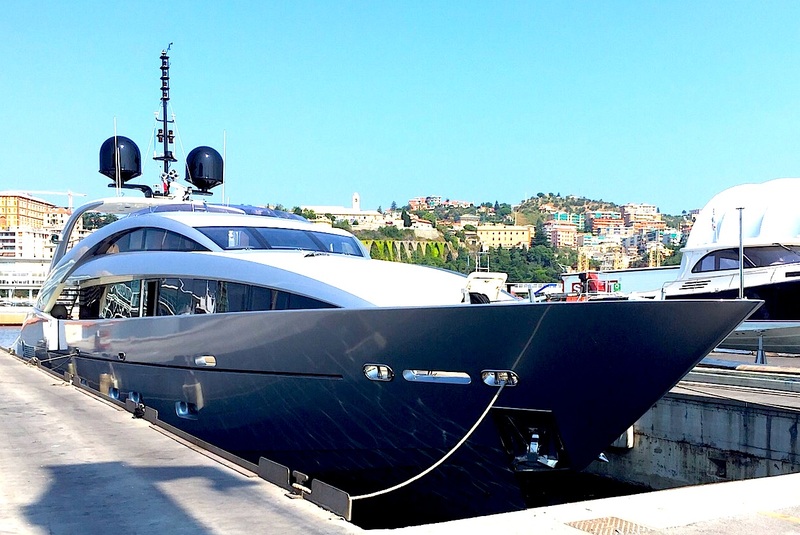 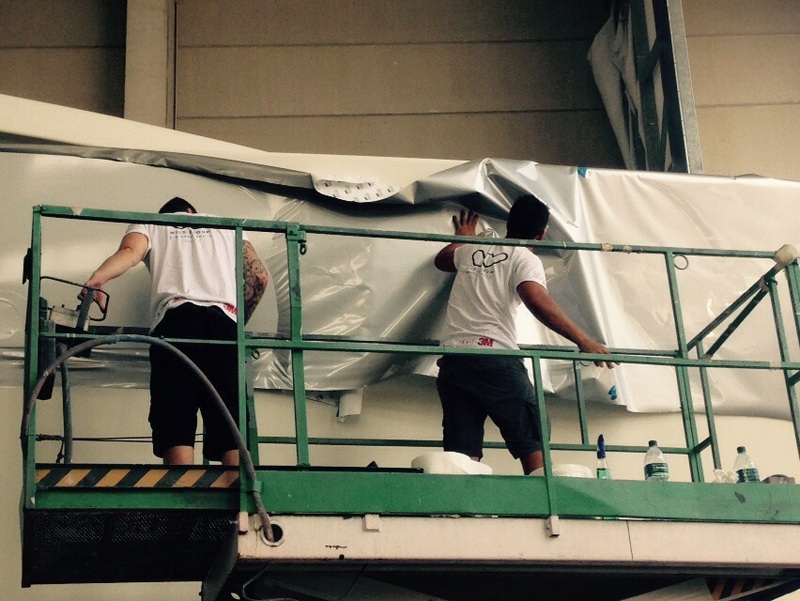 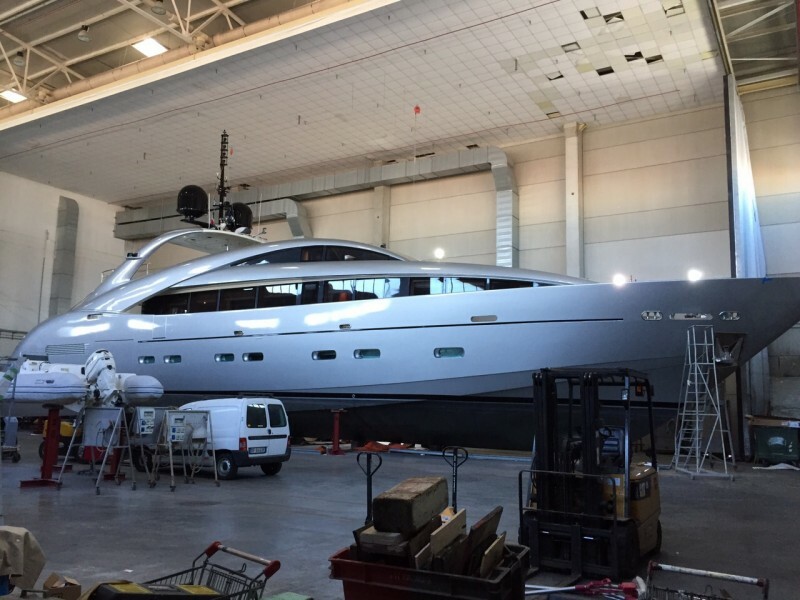 Over the last three weeks the Wild Group International Team have been in Italy completing a colour transformation on-board ISA Yachts built M/Y Matsu. 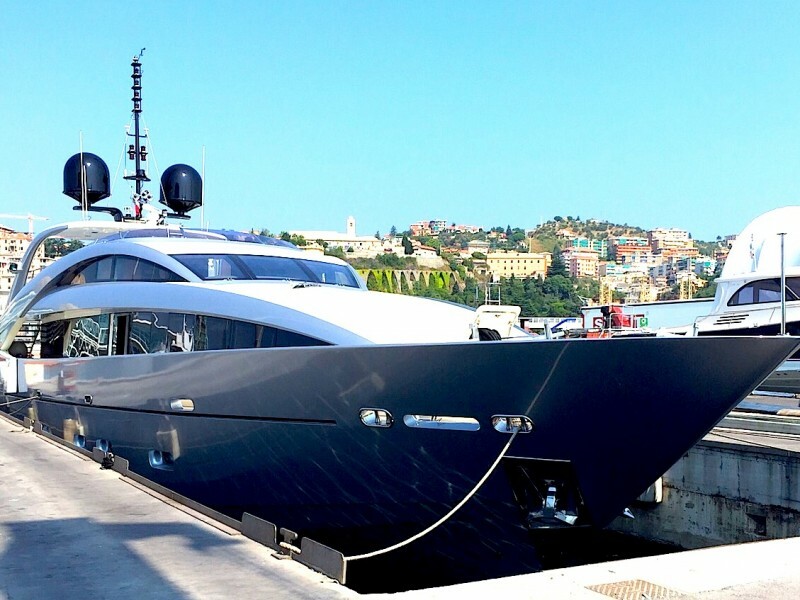 The beautiful 30m M/Y Matsu had her hull and superstructure wrapped in 3M’s White Aluminuim film, with her mast and domes being finished with 3M’s Black Gloss Film. 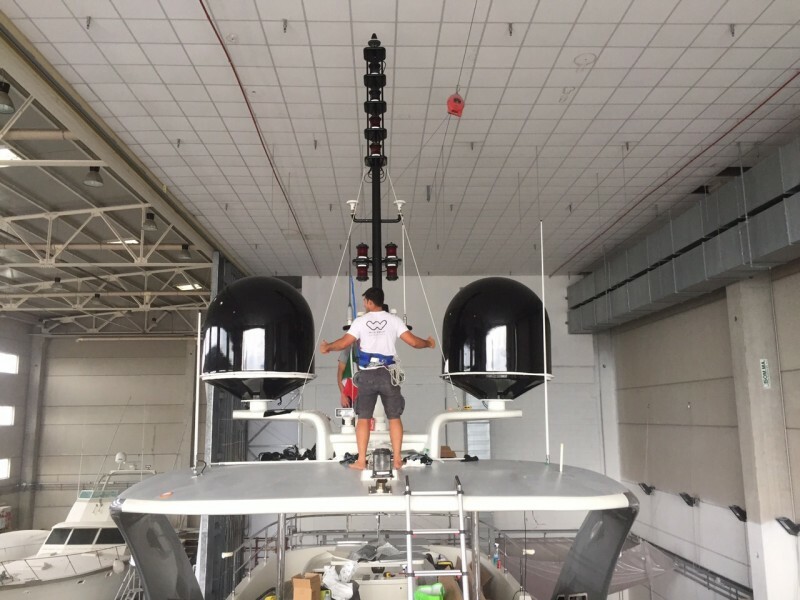 The project was completed in just under three weeks from start to finish by a professional team of eight trained fitters working on-board for this time.